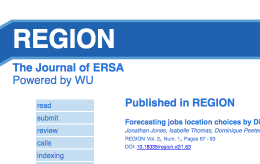 PiRS is the official journal of the Regional Science Association International (RSAI). It encourages high quality scholarship on a broad range of regional science topics. Coverage includes: innovation and spatial knowledge spillovers, spatial networks and clusters, regional labor markets, spatial econometrics, behavioral location models, transportation and migration, land use and urban development, spatial agglomeration and segregation, new economic geography, inter-industry analysis and trade, environment and natural resources, urban and regional development, geographical information systems and spatial data analysis. 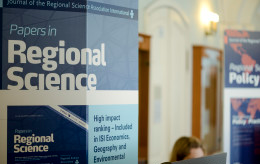 Papers in Regional Science is published by Wiley-Blackwell on behalf of the RSAI. Members have free online access to the journal.